19.4 How Can TK be Represented in Cybercartography? 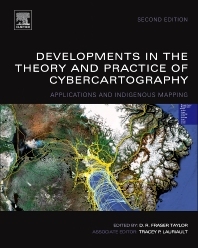 Developments in the Theory and Practice of Cybercartography—awarded an Honorable Mention in Earth Science at the Association of American Publishers' 2015 PROSE Awards—examines some of the recent developments in the theory and practice of cybercartography and the substantial changes which have taken place since the first edition published in 2005. It continues to examine the major elements of cybercartography and emphasizes the importance of interaction between theory and practice in developing a paradigm which moves beyond the concept of Geographic Information Systems (GIS) and Geographical Information Science. Cybercartography is a new paradigm for maps and mapping in the information era. Defined as "the organization, presentation, analysis and communication of spatially referenced information on a wide variety of topics of interest to society," cybercartography is presented in an interactive, dynamic, multisensory format with the use of multimedia and multimodal interfaces. The seven major elements of cybercartography outlined in the first edition have been supplemented by six key ideas and the definition of cybercartography has been extended and expanded. The new practice of mapping traditional knowledge in partnership with indigenous people has led to new theoretical understanding as well as innovative cybercartographic atlases. Featuring more than 90% new and revised content, this volume is a result of a multidisciplinary team effort and has benefited from the input of partners from government, industry and aboriginal non-governmental organizations. Dr D. R. Fraser Taylor is Chancellor's Distinguished Research Professor and Director of the Geomatics and Cartographic Research Centre at Carleton University, Ottawa, Canada. He has been recognized as one of the world’s leading cartographers and a pioneer in the introduction of the use of the computer in cartography. He has served as the president of the International Cartographic Association from 1987 to 1995. Also, in 2008, he was elected a fellow of the Royal Society of Canada in recognition of his achievements. He was awarded the Carl Mannerfelt Gold Medal in August 2013. This highest award of the International Cartographic Association honours cartographers of outstanding merit who have made significant contributions of an original nature to the field of cartography. 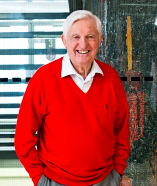 He produced two of the world’s first computer atlases in 1970. His many publications continue to have a major impact on the field. In 1997, he introduced the innovative new paradigm of cybercartography. He and his team are creating a whole new genre of online multimedia and multisensory atlases including several in cooperation with indigenous communities. He has also published several influential contributions to development studies and many of his publications deal with the relationship between cartography and development in both a national and an international context.